If you haven’t traveled much in China then you could be forgiven for thinking that the best of spicy food begins and ends with Sichuan Province. However, there is much more to spicy food in China, and even in Sichuan itself, than bright red chili oil and mounds of mouth-numbing Sichuan pepper. Chilies have conquered the palates of most of China in one way or another but each province has its own way of applying them and other spices based on the local climate and produce. 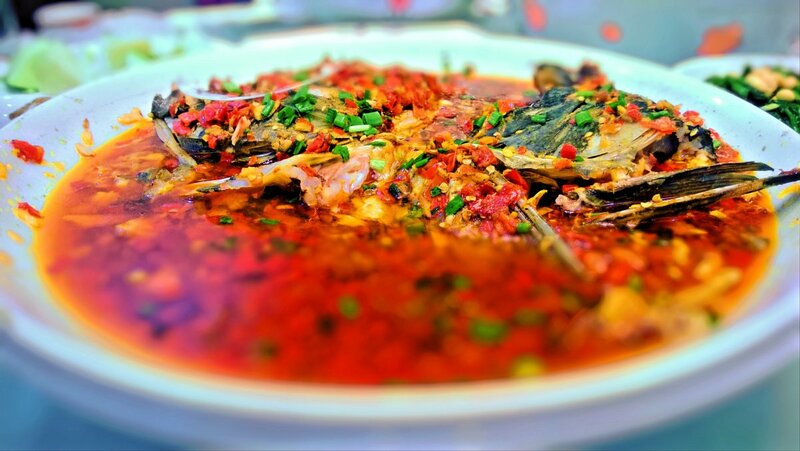 Hunan food is close to Sichuan food in terms of spice level but there are a few key differences. Firstly, most dishes eschew Sichuan pepper, allowing the flavor of the chilies (used liberally, both fresh and dried) to shine through. 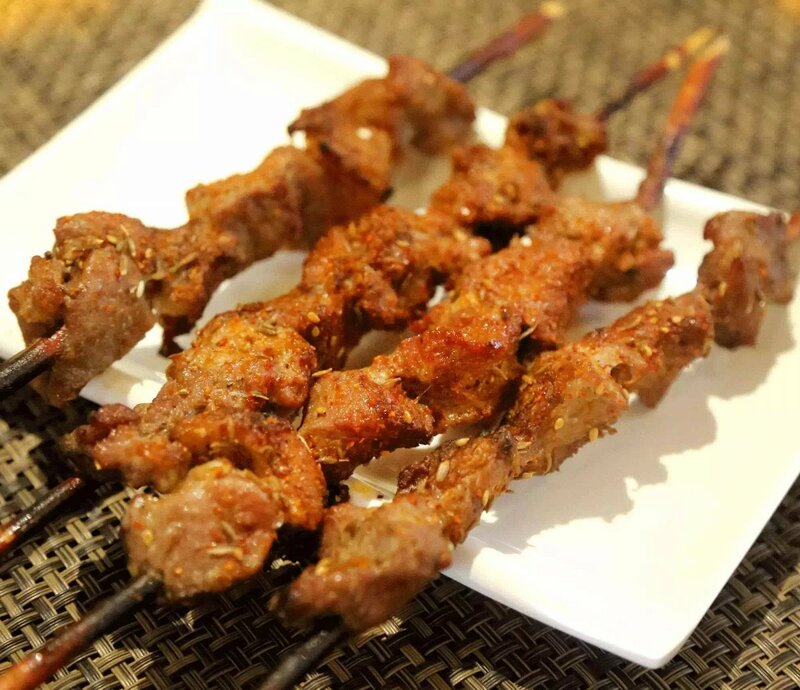 Secondly, Hunan cuisine makes much greater use of dried, preserved meats, giving many dishes a smoky, savory edge. Those aforementioned fresh chilies are also a major feature of Hunan cuisine, for example, in the homestyle dish xiaochao pork, pork stir-fried with red and green chilies. All of this contributes to a more on-the-nose piquancy than the mouth-coating spiciness of Sichuan cuisine. Where to eat it: Karaiya Spice House is a great choice for those making their first in-roads into spicy food as the spice level of each dish is clearly marked. On the other side of town, trendy restaurant Southern Fish proves that hearty flavors and modern, minimalist design can be a perfect pairing. Try the eye-wateringly spicy crushed green chilies with preserved eggs. Where to eat it: We’re still mourning the loss of hutong Guizhou restaurant Da Gui but there are plenty of other options in Beijing. Just Fun in Shuangjing offers homestyle Guizhou cuisine in a tchotchke-filled setting while Private Kitchen 44 (see p.30) does a definitive sour fish soup. 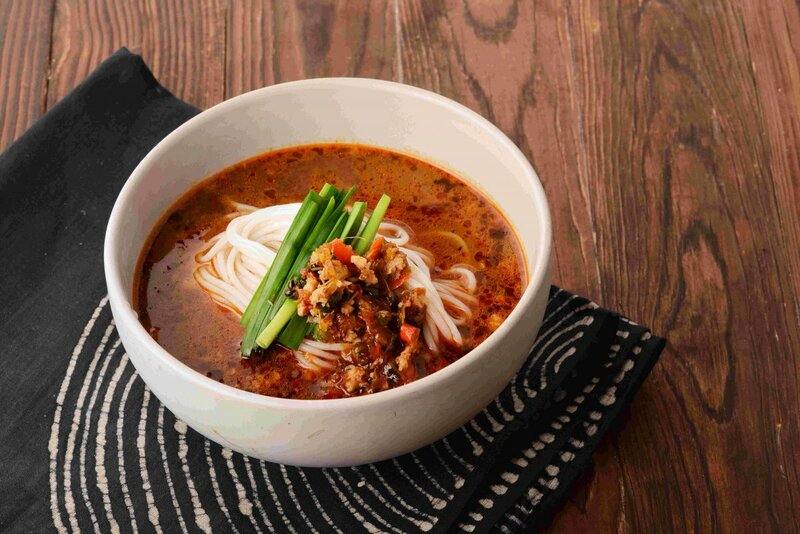 As the Chinese province home to the largest number of ethnic minorities (more than 20), it is hard to make generalizations about Yunnan Cuisine. The cuisine of the Bai minority is probably the most widely known outside of Yunnan, thanks to mass tourism in the area around Dali. The cuisine here isn’t defined by spice but chilies crop up in various forms; chili oil in a beef soup, say, or mixed with ground Sichuan pepper to season a crispy potato pancake. Traveling further south into the region on the border with Laos and Myanmar, dried chilies are replaced with fresh and lime juice makes an appearance in cold dishes and salads – think Thai cuisine without the sweet-sour-salty balance. Where to eat it: For Yunnan cuisine in Beijing, our heart belongs to Little Yunnan. Try the beef and mint salad, which has a good chili kick. Elsewhere, the shredded chicken salad at Yun’er Xiaozhen is a good example of the cuisines use of both lime and chili. The cuisine of Xinjiang, influenced by Uighur, Hui, Central Asian, and other predominantly Muslim culinary traditions, couldn’t be further from the pork and soy sauce flavors of eastern China. For many, the defining flavor of this region is the chili-cumin mix that gets sprinkled on grilled lamb kebabs. In an area that mostly cooks with lamb and beef, cumin is the perfect complementary spice. Xinjiang isn’t the only cuisine to use cumin, however; it crops up in Hunan cuisine, too, and other areas with a largely Hui Muslim population. Like many areas of China, Xinjiang has not escaped the inexorable spread of the Sichuan peppercorn, which pops up in the popular dish “big plate chicken” (da pan ji), a stew of chicken, peppers, and potatoes. Where to eat it: You will find chuan’r being grilled on street corners across Beijing come summer but for a sit-down experience, it doesn’t get much better than Baron Rozi at Dongsishitiao. Also, venerable restaurant Crescent Moon has remained popular for so long for a reason; the lamb kebabs are of particularly good quality here.